With summer coming to an end, it means that back to school is rapidly approaching. The days of sleeping in and tackling each day as it comes is over for us. It is time to start planning our calendars and letting the stressor of school back into our lives. One thing I know that I have to stay on top of all school year, is my meal planning and our family spending budget. In order to stay on budget I have to plan our meals out in advance and make sure they are all within the budget. If they are not, then that is my opportunity to adjust and make changes as needed. With all of that in mind I want to introduce you to my new interactive friend- Foster Farms DORI™. DORI™ is the smiling face located on top of the Foster Farms chicken packages. 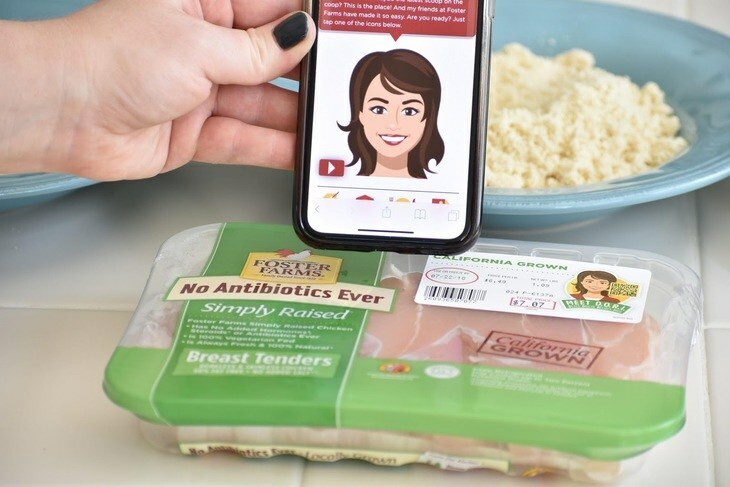 Foster Farms DORI™ is a QR code that can conveniently be scanned through the camera of your phone with the new IOS and Android updates. 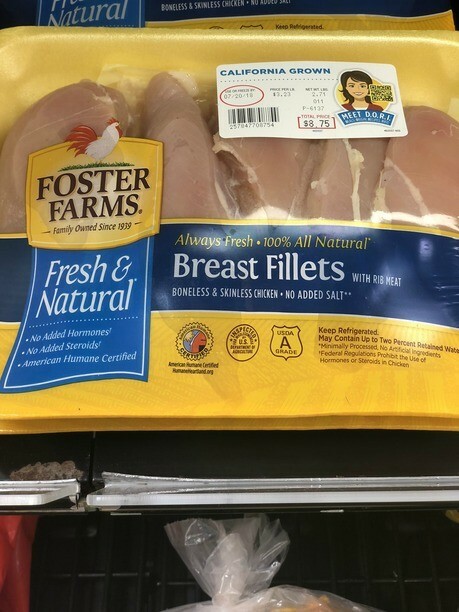 Foster Farms is one of the first meat and poultry companies that has a convenient QR code on the front of their packages. Why do I need a QR code and what do I do with it? This is the best part! 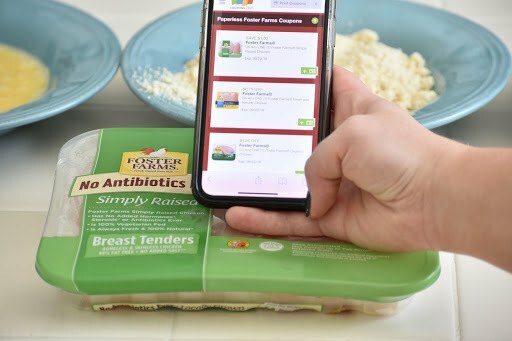 When you scan the Foster Farms DORI™ QR code it takes you to the Foster Farms DORI™ platform and you can browse recipes for some inspiration and even load coupons for your favorite chicken on your coupons.com, and save money in store while you are shopping! You can learn more about Foster Farms chicken with the DORI™ label, here. 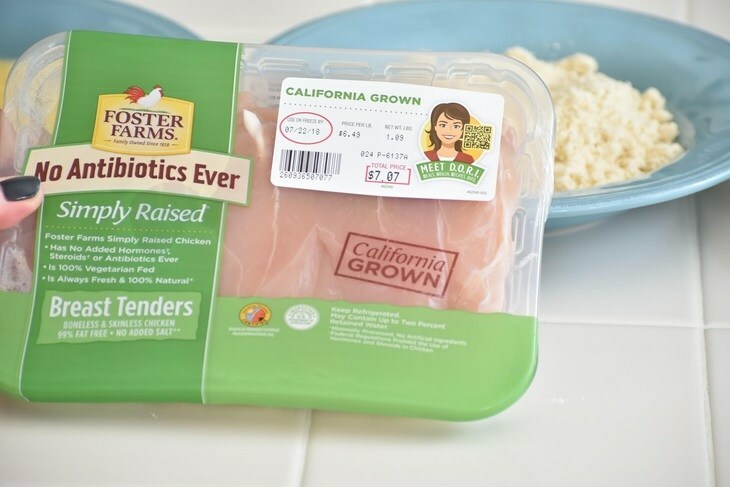 It even has more information about Foster Farms local farms in California and the Pacific Northwest. 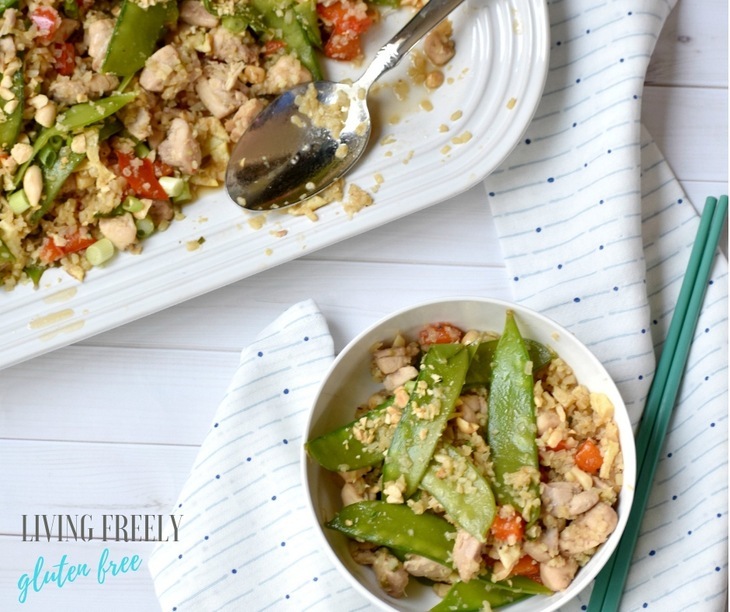 I was really excited to browse all the recipes Foster Farms DORI™ had to offer, and I found one that was perfect for us! 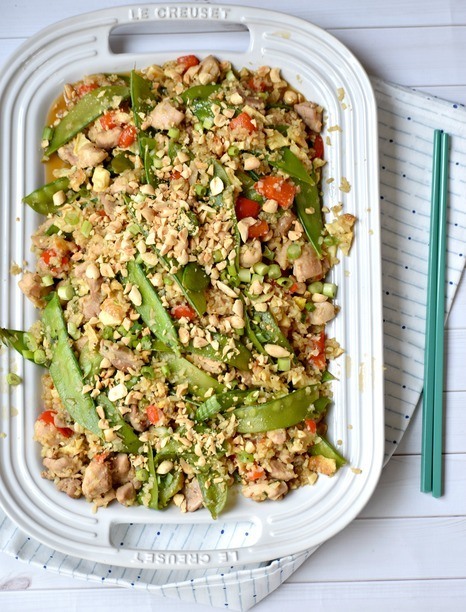 Fried rice is always one of our favorites and there is an AMAZING Cauliflower Chicken Fried “Rice” recipe. It’s full of healthy goodness that the entire family will love. 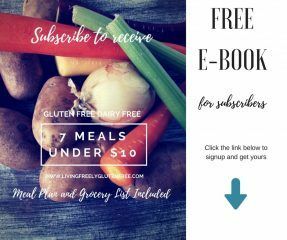 It was amazing to be able to scan the chicken I wanted to buy, find a recipe I loved, and save money all in one simple step. I followed the easily laid out directions and only made a few modifications that turned out perfect. 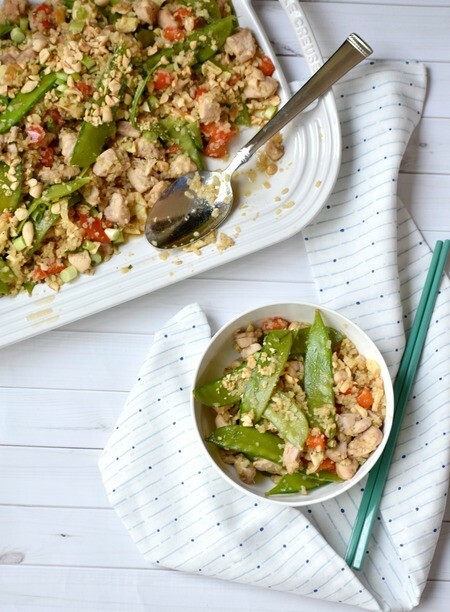 I used coconut aminos in place of the soy sauce and then I topped it with chopped peanuts for some extra crunch. 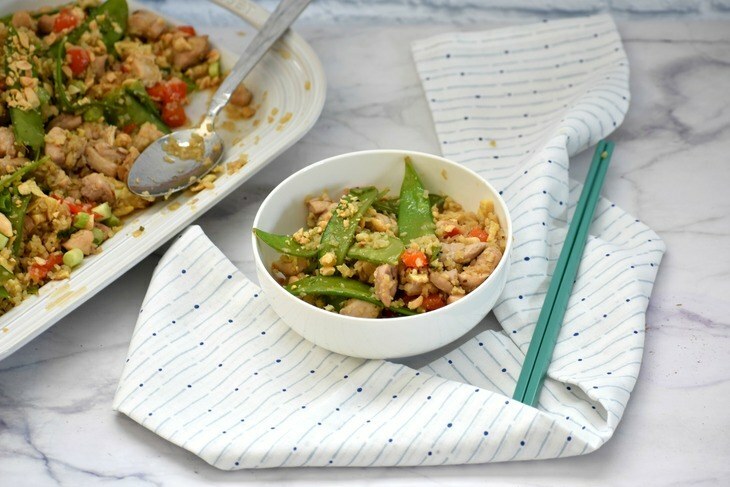 If you want to make this recipe entirely paleo then simply use cashews in place of the peanuts. I had my best friend and her kids over for lunch and served this to everyone. It was full of flavor and the kids enjoyed it. 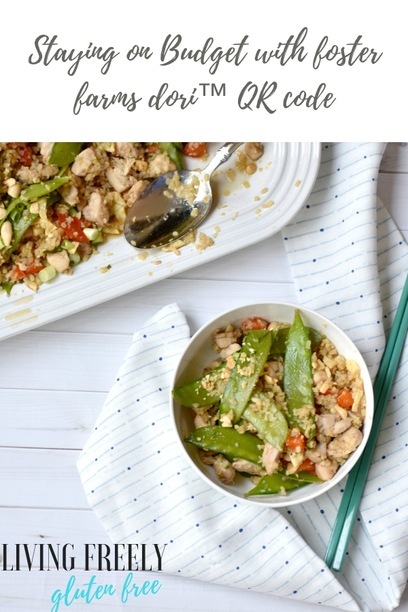 I will definitely be adding this recipe in our back to school meal rotation along with some of the other recipes I found by scanning the Foster Farms DORI™ QR code. What recipe will you try first?